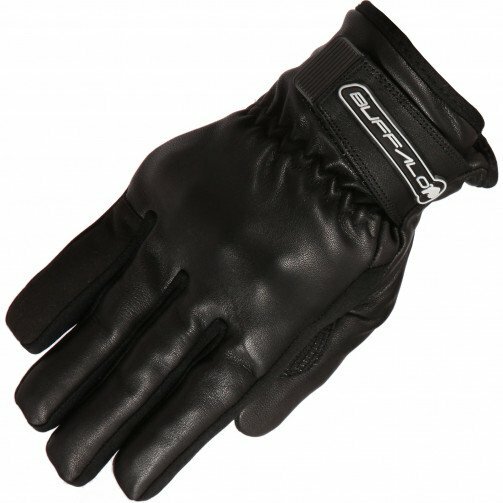 One pair of black, full leather motorcycle gloves. These gloves have a 3M Thinsulate lining, making them ideal as a long distance or courier type glove for use in cold weather. These full black leather motorcycle gloves are not at all bulky, remaining light and comfortable even during extended periods of wear.